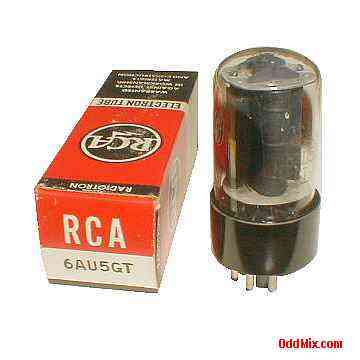 This is a genuine, original 6AU5GT RCA Radiotron Beam Power electron tube. Developed for horizontal deflection Class A amplifier use in TV receivers. Excellent for replacement, antique radio, instrument restoration projects, experimentation, circuit research or to set up a private vacuum tube museum. No longer Available - Data For Reference Only!